Pull-thru rifle and pistol barrel cleaners. Ideal for in the field cleaning. Quick and easy rifle barrel pull-thru cleaners. 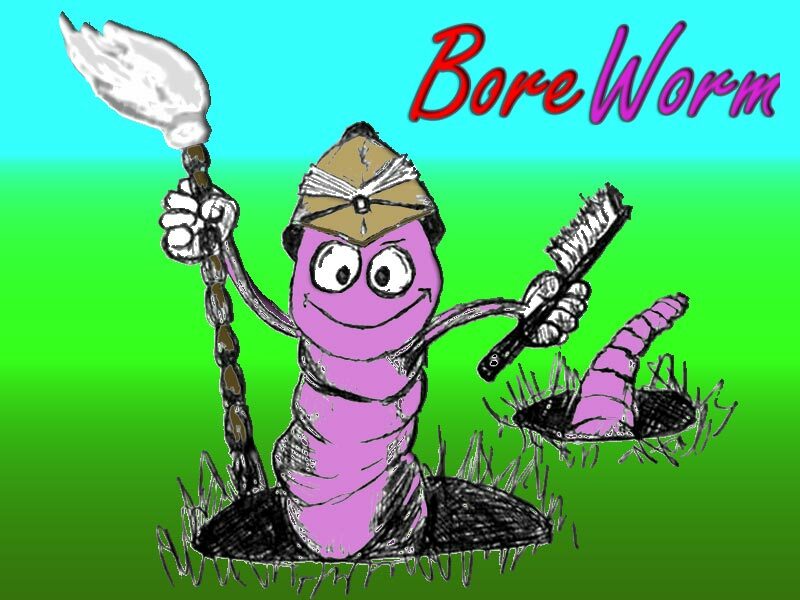 BoreWorm only length is 43 inches / 119cm. Please note: the bronze brushes are not suitable for airguns with breech seals. Order two BoreWorms with Mop or Brush and receive a free plastic .22 cal patch puller and ten premium cleaning patches. Bore brush ~ for loosening hard deposits or cotton mop ~ to remove the loosen particles. Brass weight ~ drops through the barrel, to allow you to pull the BoreWorm through the barrel. Thread aluminium end ~ #8/32 USA standard rifle rod fitting for large range of optional fittings. Thread adapters ~ for using UK fittings. Patch puller loops ~ for barrel cleaning patches. Barrel cleaning patches ~ for the patch loop pullers.